We will work with you to get you financed and on the road… without wasting your time. We want you to love your new car. We’ll exchange it for one of similar value if you aren’t satisfied. Local Towing, provided by a third party, includes 75 miles of towing to our dealership. Every vehicle at Smart Auto comes with an extended warranty to keep you on the road. 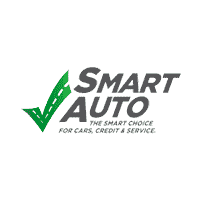 Smart Auto is a buy-here, pay-here used car dealership that makes owning a quality vehicle affordable and helps you to drive towards a better financial future – that’s Smart. The team at Smart Auto would like to welcome you to our dealership, where we’re confident you’ll find the vehicles you’re looking for at a price you can afford. Come and check out a great deal on a reliable pre-owned model. No matter which vehicle you decide on, our professional finance team will help you get settled with a competitive financing plan. Make your way to Smart Auto today for quality vehicles, a friendly team, and professional service at every step of the way. And if you have any questions for us, please contact your local SmartAuto dealership. Shelly was great and streamlined the whole process. I am very happy with my new car and the customer service!!! I will definitely recommend them. I have been looking to purchase a vehicle for a while. I heard about Smart Auto from a friend so I decided to check it out. I drove over an hour to get a vehicle I saw online. They have worked with me and went above and beyond to make sure i was satisfied. I have never been more happy with a car company. Highly suggest!